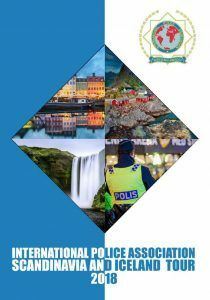 SPECIAL NOTICE – The 2018 Tour Itinerary for Scandinavia and Iceland has been finalised and the information is available from IPA Tour. Nominations will be called for in June of each year with the closing date the last MAIL 30th September 2017. All images entered must have a timeline advising information such as – photo taken by; location of photo taken (e.g. ‘holiday in Paris’); date (can be approximate). All entries are to be sent to the Secretary General. Final closing date is the last Sunday of August each year. HOBBIES BUREAU SECRETARY – Your Hobbies Bureau Secretary is Matt Hale. Matt is very keen to get the site back on track and has some exciting ideas coming up in the near future. Go to the Hobbies Bureau website and read what Matt has to say. (Click here to go to News / International – also – don’t miss reading the forthcoming social events from our colleagues overseas – cruises, friendship weeks, football, skiing, golf and so on…….